22-year-old Farah Shaaban was crowned Miss World Egypt 2017 held on October 1, 2017 at Misr Opera House Theatre in Giza, Egypt. She defeated 22 other beauties including here court Hadeer Tariq (first runner-up), Merna Ayman Hosny (second runner-up), Floraine Ashraf (third runner-up), Farrah Ahmed Kamal (fourth runner-up) and Hadeer Khalel (fifth runner-up). 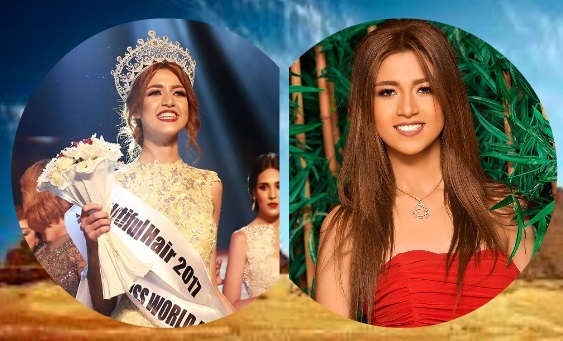 This computer science student at the British University in Egypt succeeded last year's winner Nadine Ossama, and will now represent her country at Miss World 2017 pageant in China.